Stock product - detailed vector illustration - Isometric Set Collection - City 01 COMPLETE - created by Aurielaki. Image formats EPS AI JPG. 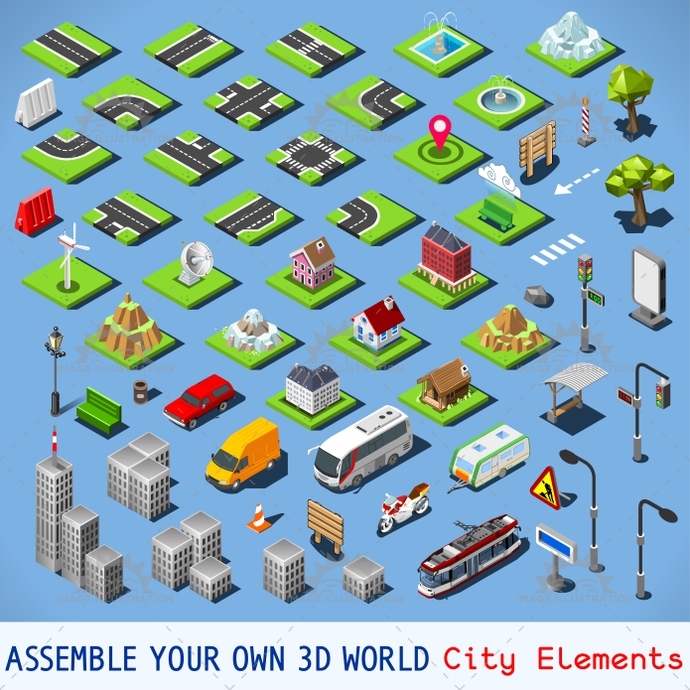 SKU: City-01-COMPLETE-Set-Isometric-AurielAki. Category: Isometric Building Icon. Tags: 3d, app, architecture, assemble, billboard, bright, build, building, car, city, collection, color, complete, development, district, fabric, flat, game, icon, idea, illustration, infographic, isolated, isometric, landmark, map, modular, new, palette, pattern, place, poly, project, road, set, settlement, street, stylish, template, tested, tiles, toolkit, traffic, truck, urban, vector, vivid, web, world.